You Want Me to Put Avocado Where? Over the past few years, beauty products have evolved from a luxury to a necessity –as the countertops and showers of men and women everywhere have become inundated with products upon products to address all of their needs. And while over the years we’ve invested in the latest technology and newest ingredients, like many trends we saw this year sometimes we need to bring it back to basics and go a more natural route. While sheet, rubber and gold face masques have become all of the Insta-story rage, there was a time – when us Millennials were kids – that using an avocado as a face mask or egg whites in your hair was the way to go. And while the current innovations have proven to be fun to capture on camera… sometimes trying out ingredients generations before us relied on is just what we need. Natural hair routines have already broken barriers on the catwalk and while women (and men!) everywhere are embracing a new natural look, their products are following suit. Examining what we’re putting on our hair has become just as important as how it looks. Which is why Muhga Eltigani created Naturall Club. She was tired of dull, damaged hair and products that didn’t work to correct the problem. So she launched her own line of hair care – full of fresh, natural ingredients that can now be delivered straight to your door. Her secret ingredient? Avocados! 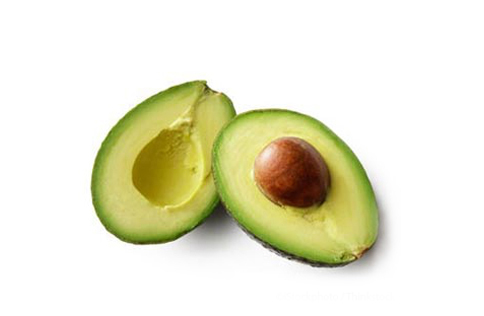 Avocados are full of healthy fatty acids and when applied to your hair can nourish hair, adding moisture to dull damaged hair while strengthening strands. The Natur-all hair mask comes in 3 different versions, each specifically formulated for your hair needs. Simply pick whether you want to target Dull, Damaged or Dry hair and sign up for your subscription here. Or enter here to win a 6-month subscription, to try out Naturall Club for free! For even more tips, tricks and hair trends, be sure to check out these articles and don't forget to pick up your favorite goodies in the Bangstyle Store!